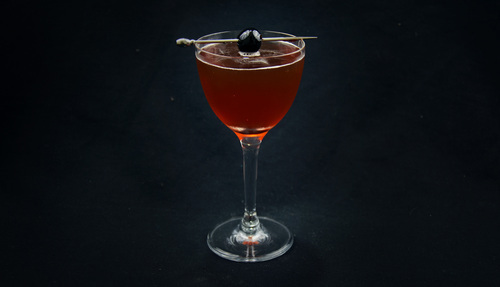 Not much is left to say about the Manhattan—a cocktail so old, it breaches the soft outer layers of our cultural memory. While other drinks have succumbed to sour mix and blue curacao, it has survived the decades with grace. This could be attributed to a palatable balance between sweet and spicy, or the availability and affordability of its ingredients. Yet perhaps its most unassailable asset is also its most humble: the thing is really, really difficult to mess up. Go ahead, let mom grab the six-month-old Martini and Rossi from the cabinet, and sure, let’s throw in some Jim Beam to boot. No matter how high the odds are stacked, this thing seems to work itself out. Like other “simple” cocktails, the road from good to delectable is paved in detail. 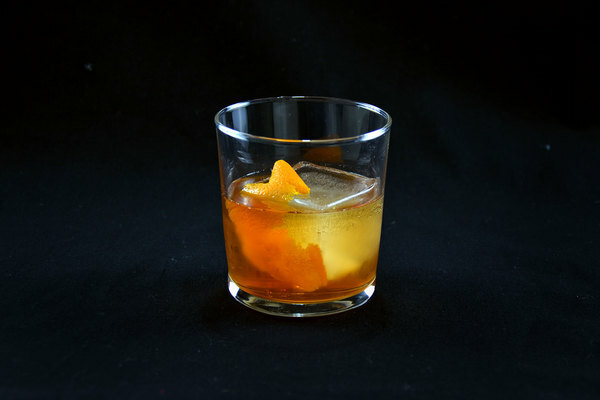 We recommend a decent mixing rye such as Overholt or Rittenhouse, combined with a balanced vermouth like Cocchi or Carpano. The bitters are a great place to get creative, with deep and spicy choices fitting best. 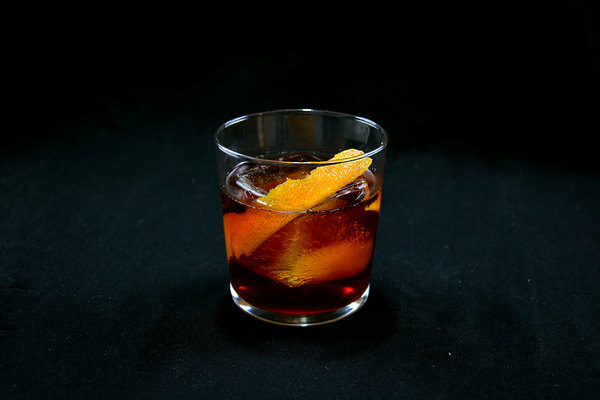 Shaking a Manhattan creates a thick, velvety look that suits the drink’s dark and satisfying personality, while a stirred version usually tastes better. Generally, if a drink doesn’t need shaking, don’t bother. 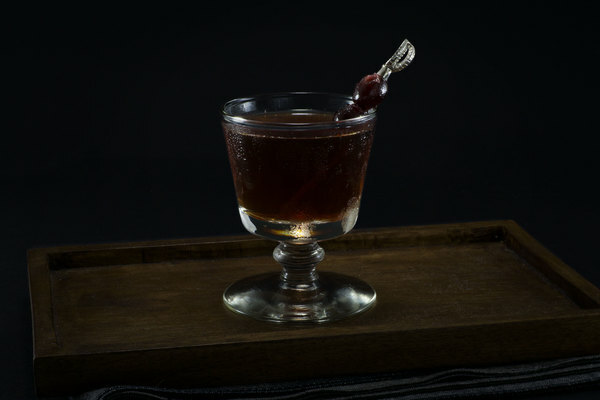 Most cocktails in America are shaken by necessity or bad gospel, and it really behooves the bartender’s style to buck the trend and reach for a mixing glass.